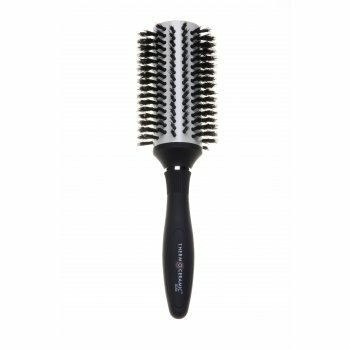 A Denman DCR4 Ceramic Radial Brush 41mm is a natural bristle hair brush. The ceramic-coated barrel, implanted with natural boar bristle, ensures that the hair is kept smooth and shiny. Velvet-touch handle provides comfort, balance and control during blow-drying. Perfect for medium to longer length hair.